Why Blue Fairy House? 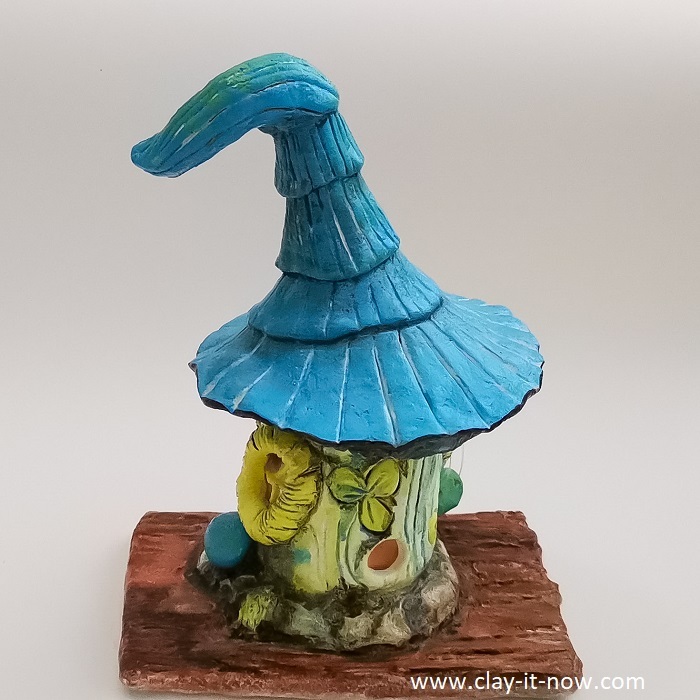 Well... firstly, I like blue and secondly I thought it would be nice to see fairy house design not in usual mushroom roof in red or earth colour range. 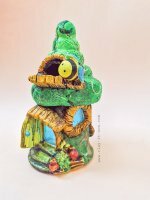 So, here I am sharing my fairy house creation with you. Let's have fun crafting with me. 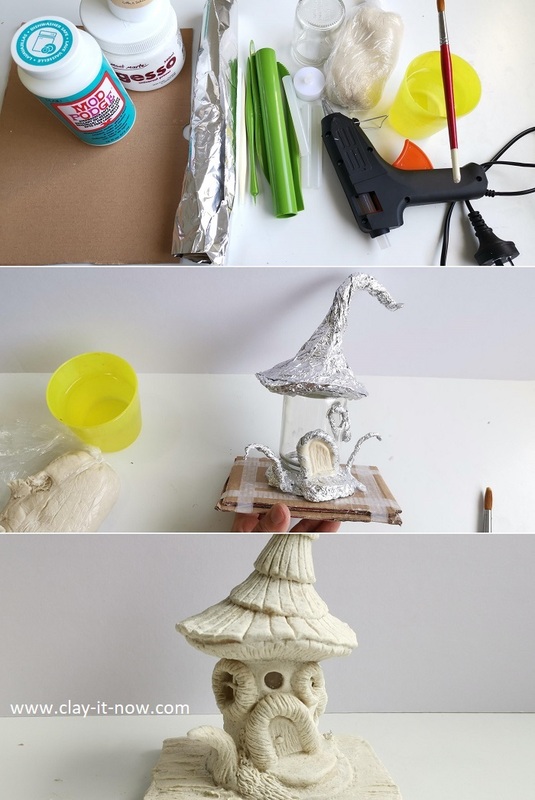 How to make blue fairy house? 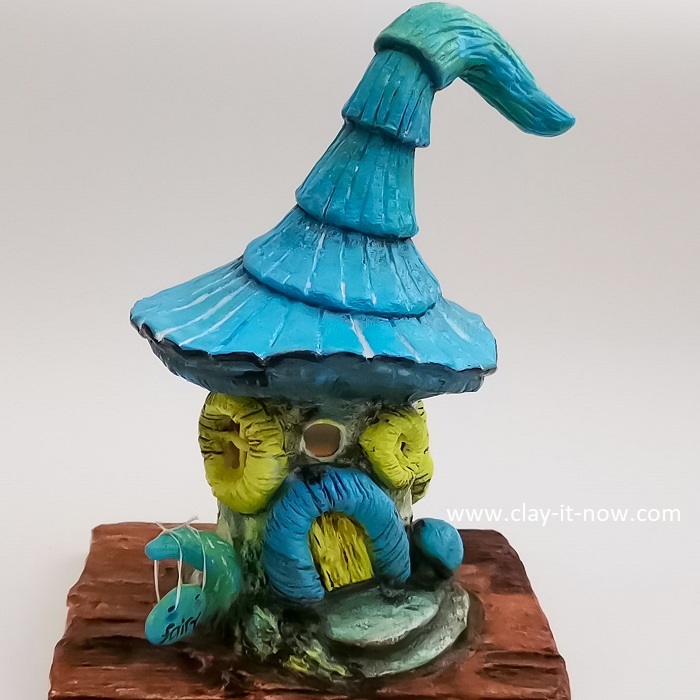 Alright, what tools or materials used to make this fairy house? Thick paper/ cardboard for the base --> used packaging box is okay. Prepare the base. I cut the cardboard to rectangular shape. You can make different shape if you like, e.g circle or irregular shape to suit your design. Stick LED tealight candle to the base. Make sure your LED light stays in place when you on-off the switch for many..many times. And, don't cover the opening side at the bottom in case you need to replace the battery in future. Turn the jar upside down, covering the candle tealight and use hot glue gun to secure the jar to the base. Next, use aluminium to add dimension on the base, door, windows and roof with the shape following your design concept. 2. Adding clay/ wrapping all the surface with clay. I start with entrance door, soffit (below the roof), around the jar, the roof, door and window jamb, and the base. Tips: don't touch wet clay because it will deform. So, instead of covering the whole surface in one sitting, you may need to work part by part (take longer time but easier to handle). You'll see that I have embossed the wall at the back of the house with straw for some kind of petal image. Yeah..I like those technique used for pottery. When the clay completely dry (it took me about a week), apply a thin layer of Gesso Universal Primer to protect the clay and to make it easy for the next step, painting. Again, wait until the primer dry. Then, start painting the clay layer by layer from lighter to darker colors. Finally, apply mod podge or varnish to seal the colour and clay. Btw, I have recorder my steps above in video and you can watch it at Clayitnow youtube channel.